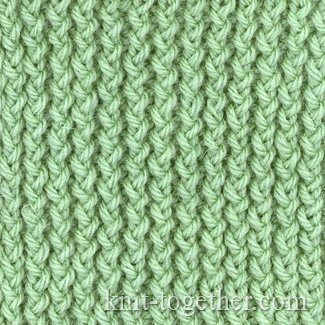 This rib knit is a sort of Rib 1x1 but it looks unusual and is more dense and compact. 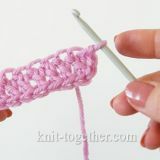 It is done by alternating knits and purls. 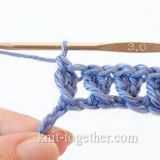 But purls in odd and even rows are knitted by the first method and knits are done from the back. 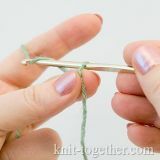 The knitting yarn should be taken from the back (like for a backward yarn over). 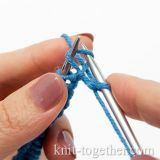 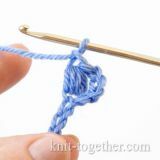 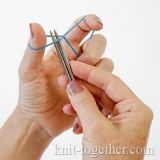 For such a rib, knitting of the first row is performed circularly as it was described above. 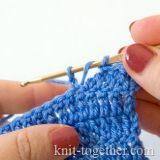 In the second row, knits are done by the first method and purls – by the second.